This slogan summarised the conditions of the majority of the working peoples in Africa in the midst of this capitalist depression. Workers in the advanced capitalist countries are now facing the full impact of the intense forms of exploitation of capitalism as there are increased unemployment, homelessness, environmental degradation, violation of basic rights of workers along with the unleashing of racial, ethnic, religious and other divisions. Africans have always felt the burdens of super-exploitation, but this depression is exacerbating the condition of literally 'sucking the blood' of the working poor. Capitalism is based on the exploitation of workers and peasants. While hiding behind the mantra of the free market and democracy, the varying cycles of capitalism, boom, inflation recession and depression were used by the strongest sections of the capitalist class to rig the system so that the capitalists are always in power. In times of capitalist crisis, the ruling classes drop the mask of liberal democracy and unleash the clenched fist of despotism. Along with this clenched fist comes militarism and war. It is in the context of the intensified crisis of capitalism that the 1 May 2010 celebrations took on added significance. Workers in many countries from China to Ukraine and from Spain to Russia were demonstrating in the streets for their rights. Questions of the quality of life, decent wages, health, safety, freedom of assembly and collective bargaining are now on the agenda as the democratic questions of this period. It is no longer possible to refer to democracy as simply the holding of elections. Workers remember that it was in the midst of a capitalist depression that Adolf Hitler ‘won the elections in Germany'. Dictators and constitutional dictators all over Africa have developed the tactic of holding elections that would guarantee their hold on power. These autocrats rule on behalf of international capital, and from the Cape to Cairo working peoples are again rising and building new organisations and developing new tactics of struggle. African workers remember that the depression conditions were never far from their day-to-day reality and the form of capitalism that comes with racism, bigotry, militarism, war and plunder. It is now imperative that we teach the youths the historical lessons of the last major depression when in 1935, the Italian invasion of Abyssinia marked the intensification of militaristic responses to capitalism. In these moments new political formations come into being, and throughout Africa the old NGO (non-governmental) de-politicisation of people are being overtaken by strikes, demonstrations and other forms of popular protest. During the last depression, it was the movement for peace, along with the movement for independence, that opposed forced labour in Africa. Now, 1 May 2010 is serving as a new marker for the African workers to take the struggles to a higher level of political mobilisation and organisation to ensure that capitalism will not be reconstituted and recomposed on the dead bodies of millions of Africans. The marches and demonstrations in Africa were part of a worldwide movement of workers. It was as if people were remembering the call, 'workers of the world unite'. As the living conditions of people everywhere become intolerable, there are signs that workers are gaining new confidence. In Greece there were clashes between the workers and the police as the IMF (International Monetary Fund) and the EU (European Union) consider the transfer of the cost of the recovery of capitalism on the shoulders of Greek workers. The general strike is again coming back as one form of people's struggle. In all parts of Europe, the denizens of high finance and banking are being exposed as fraudsters, in short ‘criminals'. Workers and their spokespersons are challenging the call for the subsidisation of these bankers. While the mainstream media uses the old scare-tactics to frighten workers, the democratic masks are being removed to further the oppression of workers in Britain, Spain, Portugal, Ireland and all of those societies that previously boasted the success of free market. From Portugal, workers demonstrated, while in socialist Cuba, May Day was celebrated as one more example of the superiority of the collective form of social organisation over the divisions of working peoples. Workers in Europe are presented with the bogey of immigrants and black hordes in order to divide and confuse them. It was in the United States that the continued division of the working people on the basis of race was brought to the fore by the new legislation in the state of Arizona. Despite the fact that the inspiration behind the celebration of May Day emanated from the struggles for the eight-hour day in the United States (after the Chicago Haymarket massacres), this is one of the few countries where 1 May is not a holiday for the workers. From the beginning of capitalism in the United States, workers from Europe were given the stamp of whiteness as a way to gain their support for the enslavement of Africans and the genocidal destruction of the First Nation peoples. US capitalists have always manipulated the division between black and white workers to blunt workers’ militancy. After the build-up of the militancy of the US workers, Labor Day was turned into a day of revelry, picnic and eating. In essence, the majority of white workers in the US were mobilised as the support base for racial terror-imperialism and militarism as the super-profits enabled US white workers to enjoy a high standard of living. Now, in the midst of the worse capitalist depression since 1932, the most retrograde and conservative sections of the US population are falling back on racist and fascist instincts to divide workers. In April, the State of Arizona passed a law that authorised police to stop and search anyone they suspect of being in the US illegally. Many mainstream newspapers have compared this law to the laws passed against the Jews in Germany as fascism took root among German workers. This law mirrors the former South African pass laws. On 1 May, hundreds of thousands of Latino workers took to the streets in the US to oppose the Arizona law. 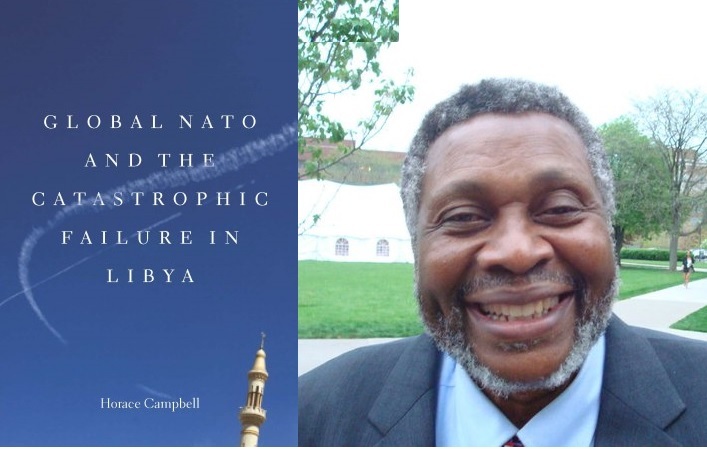 The same mindset which is fomenting racism and fascism in the US is also the same mindset behind the call for the deployment of US military forces in Africa under the banner of the so-called African Command (AFRICOM). African activists now have added ammunition in their opposition to the militarisation of Africa. General William Ward and his forces can be challenged to answer where they stand on the question of the rise of fascist tendencies in the United States. In the face of the de-legitimisation of the International Monetary Fund and the policies of privatisation and liberalisation, Africans must collectively work to strengthen the International Labour Organisation (ILO) so that questions of the rights of workers are connected to environmental justice and peace. When the idea of the ILO was mooted in 1919 after the first imperialist war, the question of the rights of workers was directly linked to demilitarisation and peace. The preamble of the ILO constitution stated clearly that it was an organisation founded on the belief that 'universal and lasting peace can be established only if it is based upon social justice'. There was general agreement that labour peace was central to world peace. This was the moment when George Padmore wrote the book, 'Africa and World Peace' (1937). The world did not listen then and humanity paid a heavy price with the conflagration of the Second World War and the Nazi Holocaust. This slogan is a reminder that while workers in Europe and North America were struggling for the eight-hour day, the concessions made for the eight-hour day and the forty-eight-hour week were never available for African workers. In fact, international standards relating to the abolition of child labour, forced labour and the establishment of safety and security for workers are still questions on the table in every African country. African women were super-exploited because workers were never paid a living wage and their families were brought into the nexus of exploitation. The spokespersons for international capitalism seek to mask this reality by trumpeting the so-called informal sector and micro-credit. Under neoliberalism and privatisation, many of the social rights that were won with political independence have been stripped from African men and women at the grassroots. Struggles for basic rights, indeed for life itself, are being waged in all parts of Africa. It is in the societies with the massive working classes where the struggles are sharpest: Nigeria, Egypt, Sudan, Ethiopia, South Africa and the Democratic Republic of Congo. These societies stand at the border of deeper exploitation, militarism and divisions on one side and on the other, peace, reconstruction and the unleashing of the creative potentialities of the African working peoples. These are the same societies where ‘big labour’ is being unmasked. Militants for the poor identify big labour as those trade union bureaucrats who yearn for a place at the table of the capitalists so that these labour bureaucrats can also join in the plunder. Both South Africa and Nigeria are societies where working-class movements are very strong and there are pressures for a new democracy among the workers so that the plunder and humiliation of all peoples will end. Although we have identified the limits of the top leaders of the sell-outs from among the trade union bureaucracy, these societies are only the clear manifestation of the ideological crisis facing the working poor in Africa. It is in Zimbabwe that the leaders of the working poor have exposed their ideological subservience to Western concepts of poverty alleviation and ‘governance'. Although the rank-and-file of the Zimbabwean workers want a new democratic dispensation that starts from the working peoples (especially the plantation and agricultural workers), the neoliberal approach to political struggles has crippled sections that yesterday were called the left and the trade union movement. This led Africa to a situation where Morgan Tsvangirai, the leader of the opposition, from the trade union movement finds support from among the most conservative section of imperialism, instead of from the solidarity of other oppressed workers in Africa and other parts of the world of capitalist oppression. The militarisation of politics in Africa has served to remind progressives that democracy can only come when there are rights for all members of the society. During the last capitalist depression, Africans linked their struggle for collective bargaining and for freedom of assembly to independence. It was correctly calculated that democratic rights could not be gained under the colonial state. In this period of depression, the struggle for the rights of African workers is not only against the imperialists, but also against the local collaborators of capitalism. The capitalist system of production can never guarantee democratic rights and participation for the African worker. While workers in Europe and North America were free from bonded labour and free to enter the market place, capitalism in Africa was always based on force. Forced labour gave way to the banning and restrictions on trade unions. Force in production gave way to militarisation and authoritarianism in politics, the institutionalisation of violence and to the militarisation of the state. For these reasons, wars and militarism dominate the agenda as divisions based on religion, ethnicity and regions are used to divide workers from each other. African workers will follow carefully the struggles in Asia, Europe and the Americas as they unfold with a view towards strengthening the international solidarity of workers. The conditions of mining and the extraction of petroleum are forcing new forms of mobilisation. It is not by accident that the National Union of Mineworkers (NUM) of South Africa is protesting against the casualisation of labour. Whether it is in the mining of coltan in the Congo or the picking of tea in Kenya, the conditions of the most exploited have not changed significantly from the colonial period. Workers in South Africa are showing the way by their day-to-day battles for water, electricity, decent housing and decent education (what is called 'service delivery'). These struggles have been accentuated as the former freedom fighters from the African National Congress (ANC) find allies in the World Bank to consolidate a variant of black capitalism under the misnomer of ‘black economic empowerment'. Some of these same leaders exploit domestic household help in ways that are reminiscent of enslavement. This betrayal in South Africa has been the main lesson as all of the so-called freedom fighters in Uganda, Eritrea, Ethiopia, Rwanda, Zimbabwe, Angola and Namibia expose the dead-end of the old liberation reference points. It is the new solidarity among African people that will strengthen African unity as African people demand that Africa for the Africans be meaningful so that the tremendous wealth of Africa is not plundered. These working people are struggling for freedom of movement, freedom of assembly and the freedom to organise. These are the freedoms that will enrich the unity of the peoples of Africa in their societies and across the fake borders. All of the rising powers see Africa as the space for unlimited accumulation of super-profits. For the capitalist classes in Brazil, India, Russia, China, the US and the European Union to reconstitute global capitalism, African labour, mineral and genetic resources are needed. The May Day demonstrations in Africa are one reminder that the questions of the quality of life of the African are not negotiable. From Africa there are calls for a new internationalism. It is the non-negotiation of freedom that is breaking out in slow and imperceptible ways that forms the kernel of the African revolution that will explode. When and from where this will come cannot be foretold. What is the Tea Party Nation?